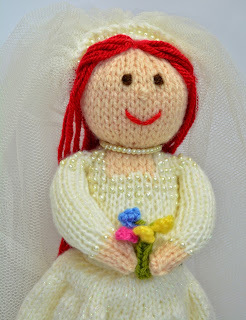 This is Beatrix the Beautiful Bride. 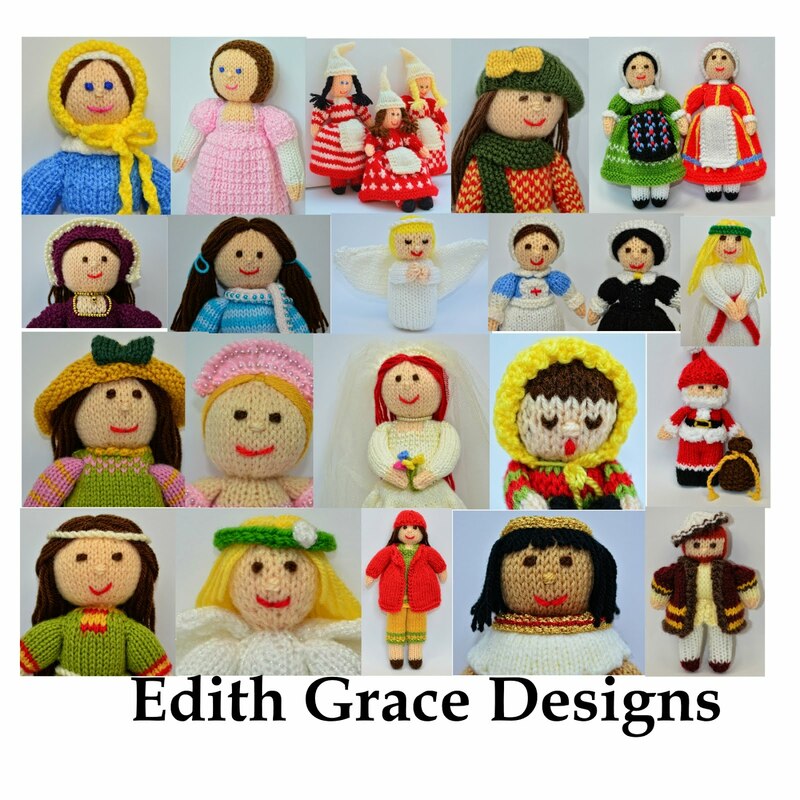 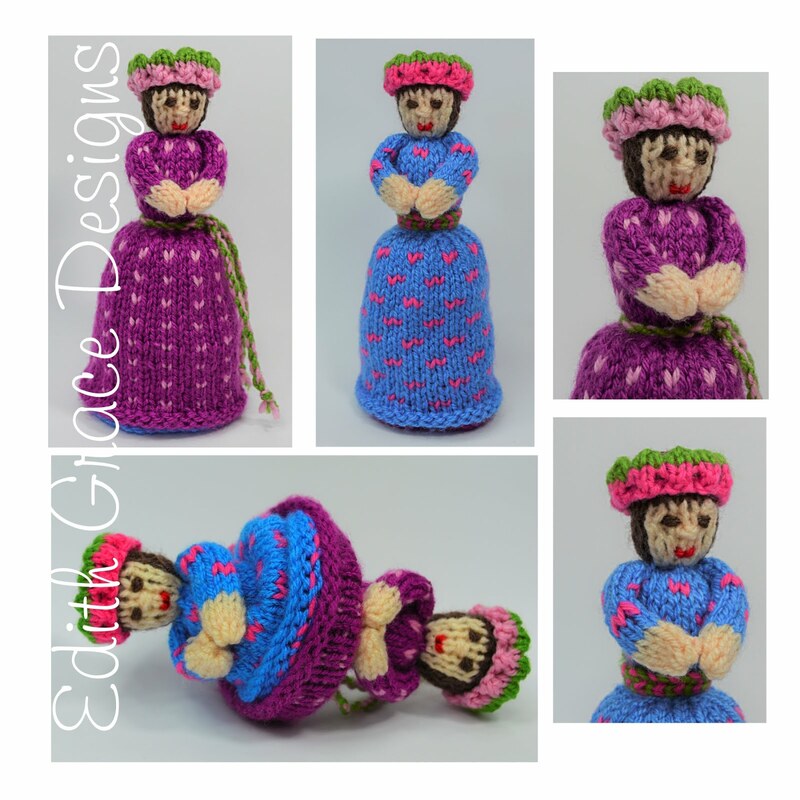 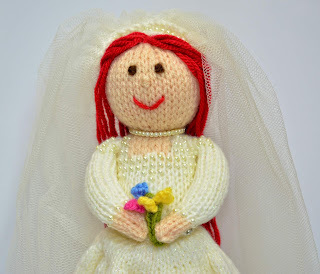 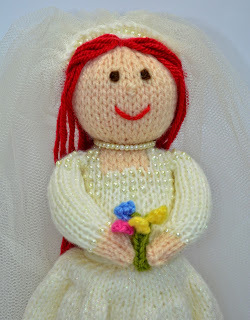 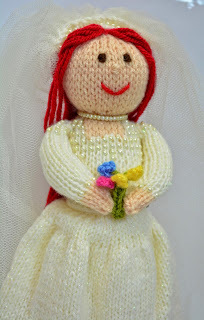 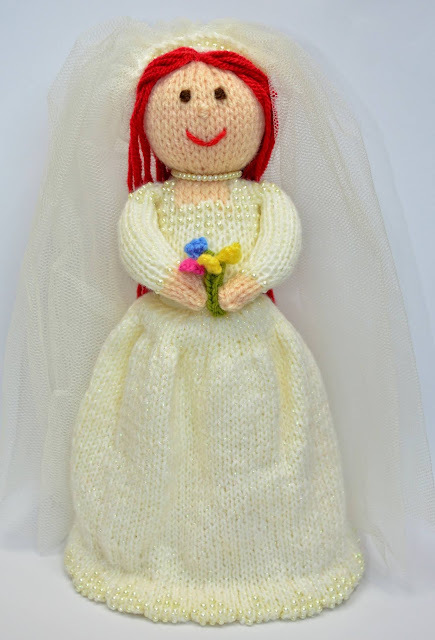 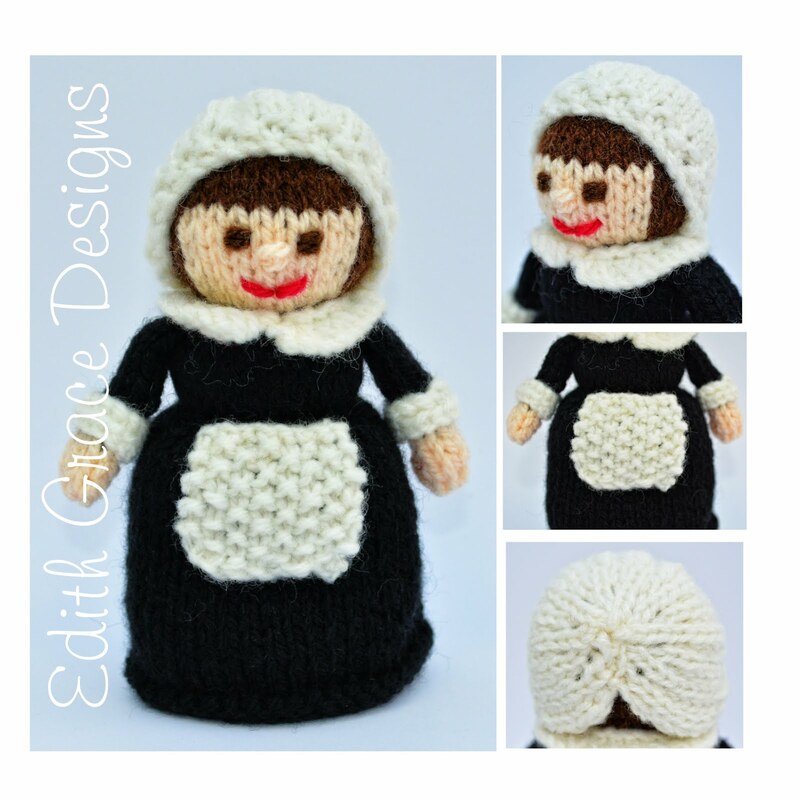 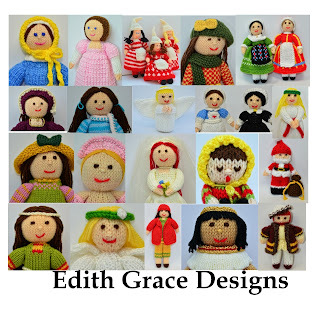 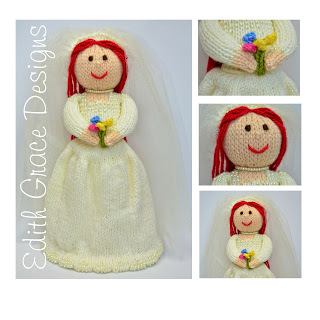 Beatrix is a knitted bride doll, is 28cms tall, knitted in Double Knitting Wool & Worked Flat. 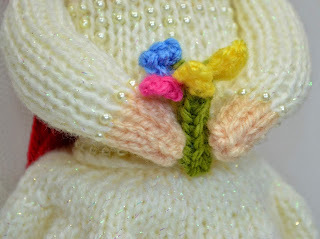 The legs, body & head are knitted all in one. 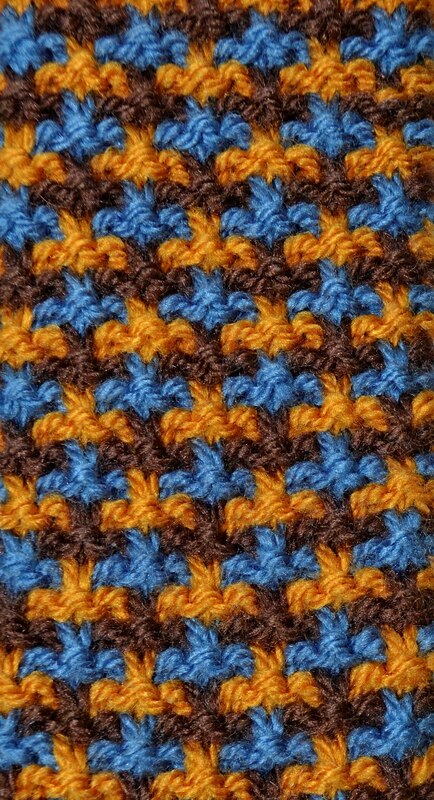 This pattern would suit an Intermediate knitter. 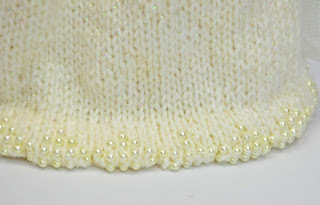 She is knitted in Cream Sirdar Snuggly Pearls DK which gives a sparkle effect. 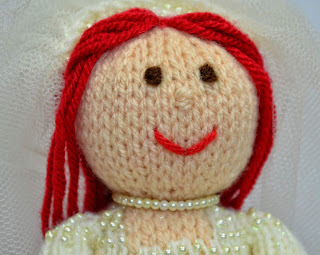 3mm cream pearl beads are knitted into the skirt, bodice & sleeves and Beatrix has a beaded head piece with cream netting sewn into place. 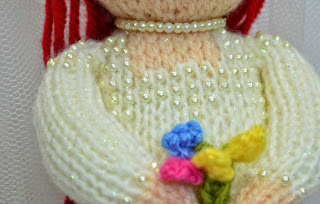 Beatrix holds a small bunch of flowers and has pearls to finish off her wedding outfit!